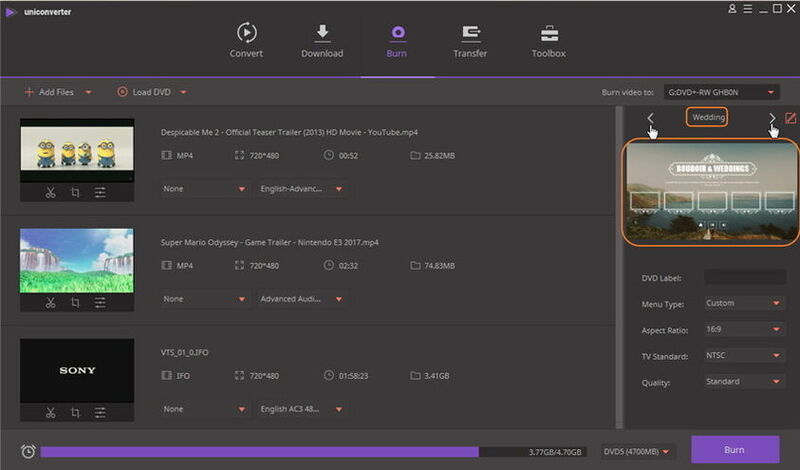 Wondershare UniConverter (originally Wondershare Video Converter Ultimate) enables you to burn ISO file to DVD for your private collection. 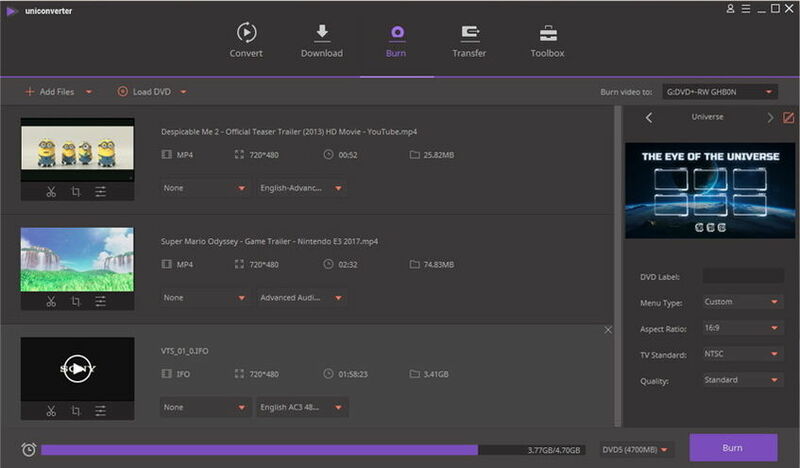 Here’s how to burn ISO to DVD for your guidance. 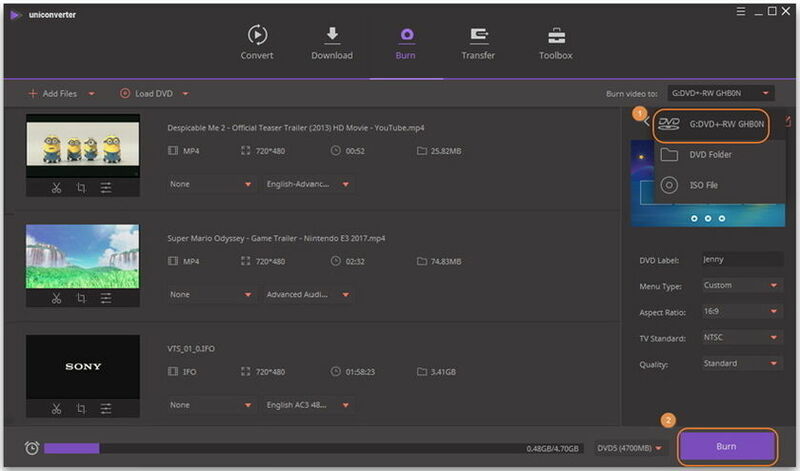 Launch Wondershare UniConverter and select Burn tab in the top, then click the drop-down button beside Load DVD to choose Load ISO Files to import your ISO files to the program. After loading, the interface would be as follows. If you want to customize your video before burning, please check How to Edit Videos >. 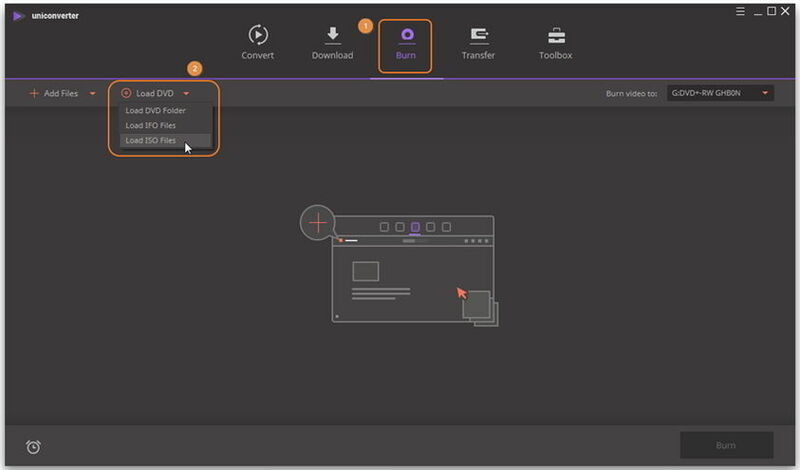 Click the edit icon or the template thumbnail as circled in the screenshot to get a separate window for DVD Templates, where you can add background picture or music as you like. As an alternative, you can also click the left or right arrow to directly switch DVD template. The template theme and corresponding thumbnail will be displayed in the middle and bottome respectively. Click the drop-down icon to select your desired parameters for Menu Type, Aspect Ratio, TV Standard or Quality. Now insert your DVD disc to the computer and click beside Burn video to: to choose the corresponding DVD disc, then click Burn to initiate ISO to DVD burning. When the burnning process completes, you'll find the ISO files already burned to your DVD!